Hikaru is an accomplished and highly experienced trainer / facilitator and has been working in the corporate training and development field in Asia for the last 15 years. She specialises in the design, delivery and facilitation of impactful and highly effective training programs for regional and multinational corporate clients. Hikaru also consults to international organizations on organizational development and project management. She has designed and conducted numerous training workshops including Human and Communication Skills / Leadership Skills / Leadership Development / Team Leading / Team Development / Creative Problem Solving / Cross Cultural Teams / Cross Cultural Customer Service all over in Japan. She has been lead trainer and facilitator for many hundreds of programs with regular clients including IBM / SONY / Sony Information Device / Sony Chemical Device / Sony Energy Device / Olympus / Infocom / Kagoshima Information Service Association / Japan Information Service Association / Shimane Prefectural Government Departments. Now Hikaru's focus is in Education field. 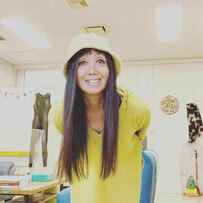 She is an associate professor and has been appointed as a program director for freshmen at Tohoku University of Art and Design. She has been teaching Presentation Techniques at Keio University Shonan Campus (so called SFC) since 2007. She is going to be assigned as a principle of Kyoto University of Art and Design Hight School in this coming fall of 2018. Previously, Hikaru was the consultant and instructor of IBM Learning Service Corporation coordinating human and communication skills of training and operations. She was responsible for designing courses and training as well as facilitation of corporate training programs. Her prior work experience includes working as an implementing manager of coaching skills for All IBM sales manager in Asia Pacific Area and an international conference coordinator for IBM Asia Pacific Corporation. Hikaru is a graduate in Psychology and Art from Western Oregon State University. Japanese is her mother tongue and English is her second language. Hikaru was a boad member of Applied Improvisation International Network from 2010 to 2015, and have been a board member again since 2017. 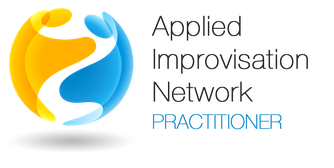 She has established Applied Improvisation Network Japan since 2009, as well as Applied Improvisation Facilitator Academia since 2015. Now she has been appointed as a principal of Kyoto University of Art and Design Senior High School, which is going to be open in the Spring of 2019. © All Rights reserved by Ena Communication Inc.